Ray Curran BSc(Eng) Dip Eng NCEA Dip Eng MSc MA CEng MIEI FConsIE is a Building Services Engineer, with a Masters Degree in Pharmaceutical Engineering from the University of Manchester. Ray has worked in the Building Services Industry for almost thirty years. 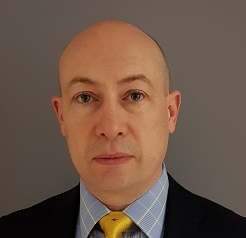 Beginning in Robert Jacob & Partners, a small Consulting Engineering Practice in Dublin, Ray moved to Environmental Engineering Limited in 1993, a Consulting Engineering firm specialising in the Industrial and Pharmaceutical Sector. In 1999, he moved to Jacobs Engineering, where he worked in the US on the design of what was the largest Biopharmaceutical development in the world at the time. Ray continued this project on site as part of the construction management team through to handover. In 2004, he moved to RPS and subsequently became Director of the Mechanical, Electrical and Process Engineering group. In 2015, together with his business partner, he formed McElroy Associates Mechanical and Electrical Limited, to expand the capacity of McElroy Associates, an established Civil, Structural and Architectural practice over twenty five years. The practice focuses on delivering a professional service for small to medium sized projects, with clients including some of the global leaders in Pharmaceutical and Biopharmaceutical manufacturing.